Hi, I’m Mary Donkersloot – Registered Dietitian and member of the ALDI Advisory Council. The ALDI Advisory Council is a team of registered dietitians supporting ALDI in various areas of the nutrition field including family nutrition, sports performance and promoting a positive body image. I’m here to share some of my favorite tips for raising a healthy eater. Early childhood feeding practices determine food preferences later in life. Children will eat what they’re familiar with, so it’s our job as parents to expose them to a wide variety of foods in order to develop their palate for healthy food. It’s a myth that children will automatically dislike vegetables, or that you have to feed them exactly what they like (especially when you know it’s overly processed and full of sugar). When you do this, it teaches children that it’s normal to eat heavily processed foods at every meal – cereal in the morning, hot dogs at lunch and pasta for dinner. These foods create taste preferences that are narrow, very unhealthy and have a more permanent influence on future food preferences than you might think. In fact, studies show that tastes for certain foods remain somewhat consistent between the ages of three and eight. 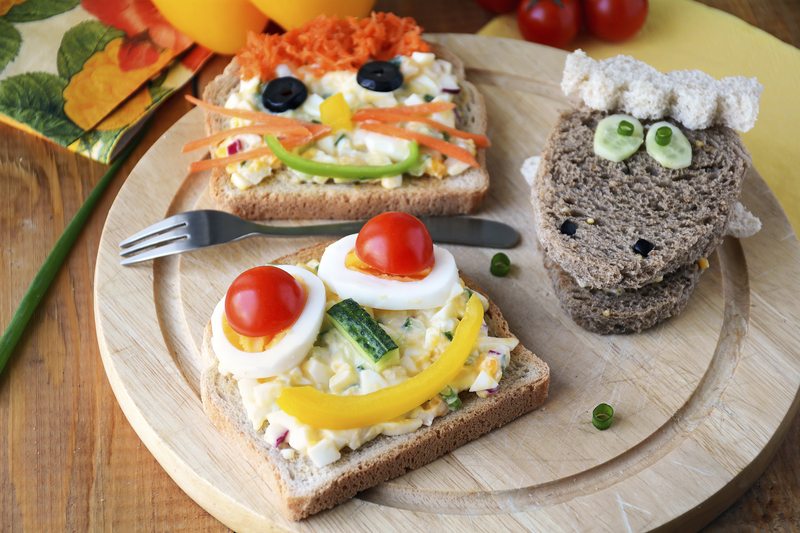 After that, kids’ favorite foods tend to match their moms’ favorite foods. Introduce toddlers to vegetables before fruit (since veggies are less sweet). You can also introduce them to the flavors of veggies with Little Journey Organic Puree Pouches, which are available in a dozen tasty fruit and veggie flavors, such as Prune-Apple-Butternut Squash-Quinoa, Apple-Carrot and Apple-Pear-Green Pea. Bold flavors have a remarkable ability to imprint on our memories and can drive our food preferences for years to come. You’d be surprised, but if you introduce these tasty, healthy foods to your child at the age of two or three, they are likely to hold their appeal for a lifetime. 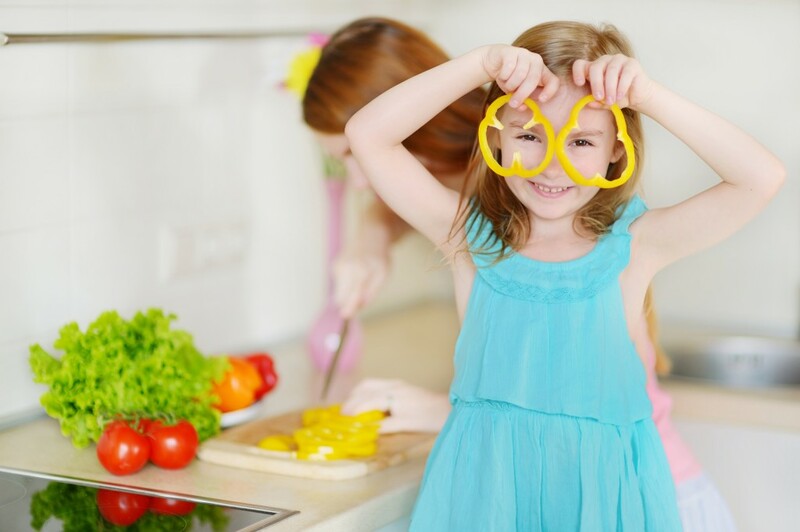 Kids who help out with the prep and cooking are much more likely to react positively to new foods. Spend less time talking about what to eat and more time selecting fresh produce and preparing it together. One rule that worked in my home: make sure each meal and snack includes a fruit or a vegetable. Now that my son is 17, he is a voracious lover of both. Other parents are amazed when he eats his cauliflower first or asks for seconds of Brussels sprouts. When he was seven, he learned to slice or “chiffonade” Brussels sprouts, sauté them with onion and toss in some toasted pecans. Now they are one of his favorite foods! 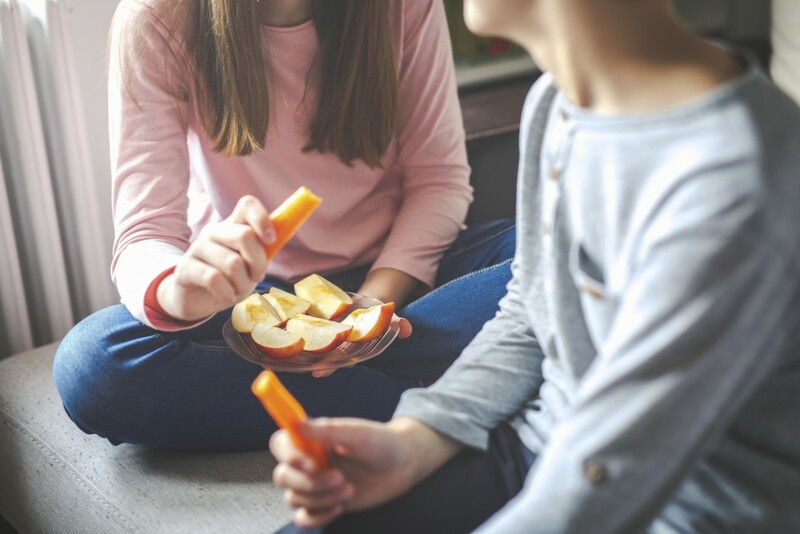 If your child is older and you fear you missed the boat on healthy eating, take heart: there is great potential for learning new, healthy eating habits. Since eating habits are learned, they can be unlearned. I love that ALDI has added a registered dietitians input and recipes for healthy eating! I just found this section and will go back to January and read and try the recipes! Hope you have videos as well. I often look at the UK ALDI YouTube videos but now hope to see many for the USA as well. Keep it up ALDI team! You have found a real way to dominate the market for better living . I am sure other stores will and should follow for a healthier America. Aldi keeps getting better! Having produce available at a reasonable price is a relief to my budget. I like that the variety of organic items keep increasing. Healthy meals are just as important once the kids are grown. A big thing to me is that I don’t have to dodge grocery carts in the parking lot. People return the carts or pass them on to other shoppers. Other stores should take a hint. I LOVE ALDI!!! I LOVE everything about it!!! And, it keeps getting better & better!!! I love the groceries and all of the other departments/home goods, garden and outdoor products they carry as well!! I love that they have so much useful information regarding healthy eating! ALDI products are better than any other! ALDI prices and quality beat any big name, high end, quality stores hands down!!! I love the recipes and information that Mary Donkersloot, RD provides to help the customers & their families to live a better, more healthy life! She is totally right when she writes “Start kids eating fruits and veges at a young age! ” I am in my upper 50’s, I’ve had a weight problem all of my life. I have struggled since I was a child! I’m a “Yo-Yo” diet person! I have 4 grown children. Our youngest always went to my “Healthy Eating” classes with me as a child! He would go shopping with me and eat my healthy lunch with me! He is my only child that eats a healthy diet today! He still loves all fruit & veges! And, everything else that is healthy too! Unfortunately, my other children take after me & tend to love the foods that aren’t healthy and also struggle with their weight! My son that eats healthy is also an avid Aldi’s shopper!! Thank you ALDI for bringing the HIGHEST QUALITY FOOD to us at GREAT, UNBEATABLE PRICES!! Thank you, too, for continuing to bring other special home products at such a great price!! It’s great to have a “Stock up store” and feel good about buying great food and save so, so much money too!! I will ALWAYS be an ALDI #1 fan! !